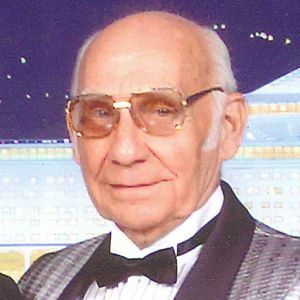 Hamann, Leroy E., 96 – of Cape May Court House, NJ passed away March 28, 2019. He was born in Cape May County to the late Oscar and Nellie Hamann. He served in the US Army and is a veteran of World War II. He earned several medals including 2 Purple Hearts, Distinguished Unit Badge, Good Conduct Medal, and the Croix DeGuerre with Palm as a surgical technician in the Third Medical Battalion of the Third Infantry Division. He served over 2 years on the front lines in Anzio, Italy, France, and Africa. Upon return to the States, he began work in the Pennsylvania Reading Seashore Lines where he worked as a machine operator in the track gang. Leroy was a member of the Seventh Day Adventist Church where he served as a Deacon for many years. Leroy was a wonderful brother, father, grandfather, and friend to many. He was predeceased by his loving wife of 67 years, Teresa in 2013, son-in-law, James Ludlam, as well as 4 brothers and 4 sisters. Leroy is survived by his children: Dennis Larry (Ruth Anne) Hamann and Judith Ludlam; grandchildren: Buffi (Bruce) Miller, Jefferson Hamann, Candi (Kevin) Robson, Gregory Hamann, and Lauren Hamann; great grandchildren: Derik, Joseph, Tommy, Colton, Kevin, Christopher, Sarah, Zachary, and Mary; sister, Dorothy Tomlin; and his sidekick Puff. My sincere and heartfelt condolences to the Family.